Hostas are hardy perennials that do well in both sun and shade. The large-leafed plant bursts with color, making them an attractive choice for the garden. Several varieties of animals are also attracted to hostas -- not to admire their foliage, but rather, to eat it. 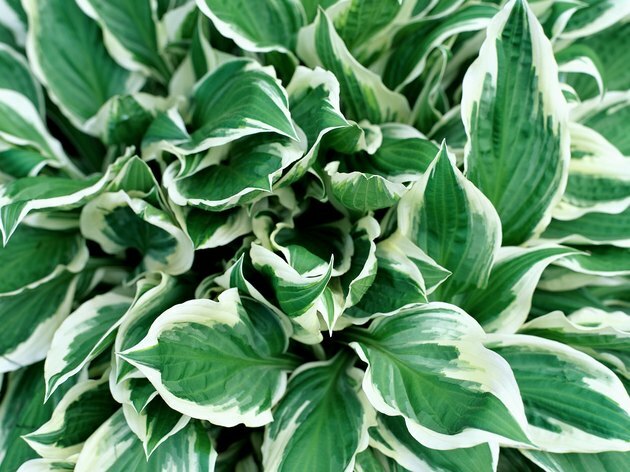 Animal control with hostas must be approached carefully to avoid injuring the animals with toxins. Animal pests feed on the leaves of the hosta plant. Deer are common prey to hostas. Deer are common prey to hostas. The large animals can make short work of an entire hosta plant in a matter of minutes. If you live in an area widely populated with deer, you may have difficulty protecting your hostas from becoming a late-night snack. 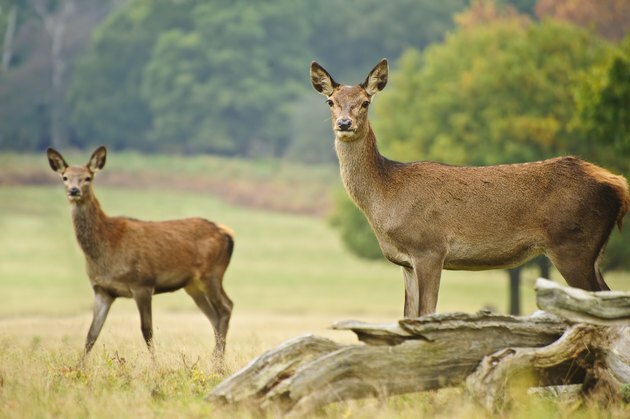 High security fences might keep deer out of your yard, but are not always practical. Deer repellent sprays applied to the leaves of the hosta plants leave a bitter taste in the mouth and do not harm the plants. Such sprays are not waterproof; apply during dry weather and spray again after the rain. Snails and slugs feed on hostas. Two nocturnal pests, slug and snails, feed on hosta leaves and leave a slimy, glimmering trail in their wake. 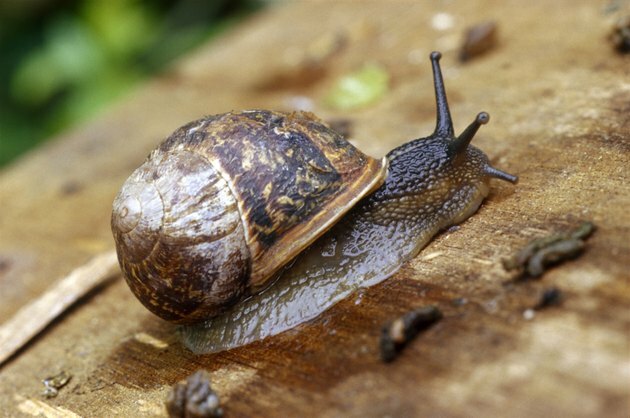 Telltale signs of slugs or snails are round holes on the leaves of the plant. Hostas that are thin-leaved are more susceptible to this type of damage. Hand-picking the pests off the leaves is a form of natural control; trapping them is another way to eliminate the problem. Setting out beer traps -- shallow dishes of the yeasty liquid -- attracts the slugs and snails. When they come closer to investigate the appealing scent, they drown in the beverage. Chemical-based traps are also available at home improvement stores. Rabbits prefer the early spring hostas. 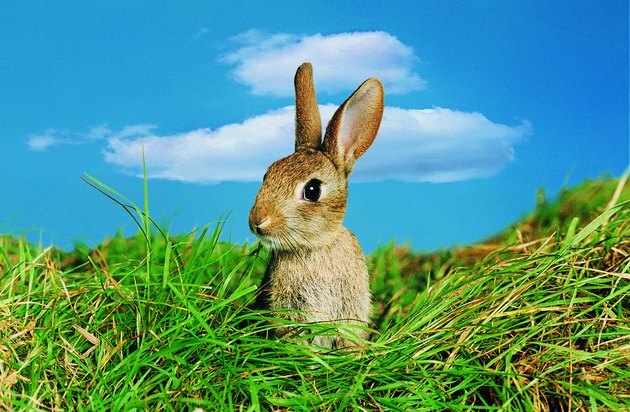 Rabbits that hide in your garden may turn your hostas into a snack. These furry creatures prefer eating the early shoots of the hosta in the spring; later in the season rabbits might gnaw on the flowers as well. Wire mesh fencing around the hostas might deter rabbits from eating your plants but persistent animals will just burrow underneath the barrier. 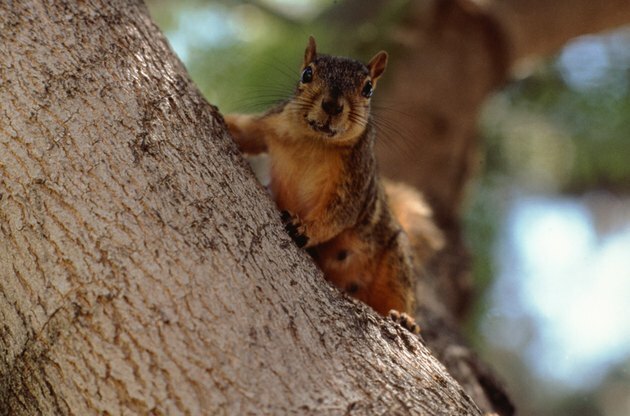 Small animals of this kind might be difficult to control. Squirrels and voles will eat the hostas leaves and roots. Voles and squirrels will not only eat your hostas, particularly when the weather is drier than normal, but dig up hostas by the roots as well. Voles chew on the roots, which can damage the plant to the extent that the hosta dies. Protecting the roots with wire and a heavy-duty fabric enclosure can help keep these rodents away from hostas.